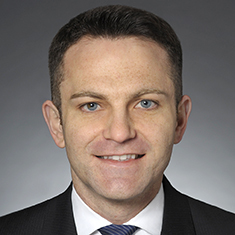 Dmitriy Lampert’s practice is focused on the representation of banks and other financial institutions in commercial financing transactions, including secured and unsecured single lender and syndicated loans, senior and subordinated credit facilities, asset-based loans, acquisition finance facilities, leveraged loans and various structured finance arrangements. Dmitriy also represents creditors’ interests in complex loan workouts, restructurings, insolvencies and bankruptcies arising in the context of such transactions. In addition, Dmitriy has extensive experience representing corporate trustees, collateral agents, servicers, issuing and paying agents, administrative agents and other service providers in all stages of domestic and international transactions involving conventional debt, syndicated debt, asset-backed securities, collateralized debt obligations (CDOs), collateralized loan obligations (CLOs), project finance, municipal finance and transportation finance. Shown below is a selection of Dmitriy’s engagements.